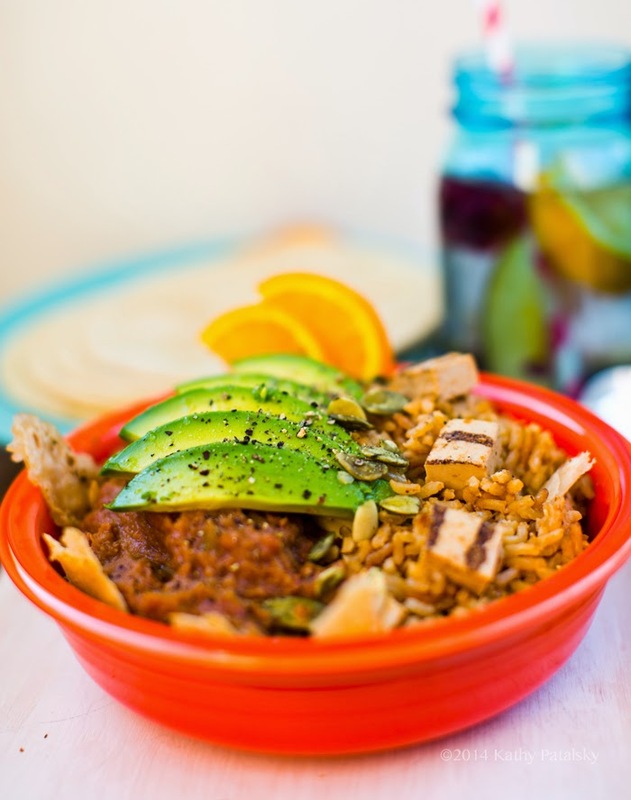 5-Step Vegan Protein Taco Bowl with Fiesta Rice and Beans. My 5-Step Protein-Taco Bowl with Fiesta Rice and Beans is a delicious go-to meal that is exploding with cravable flavors. 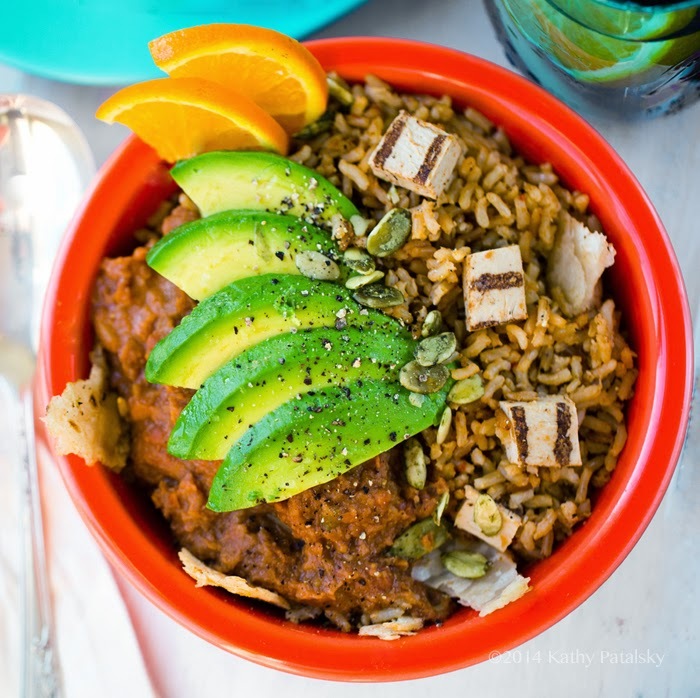 Creamy vegan refried beans, corn or rice shredded tortillas, fiesta-spiced rice with Southwest style Beyond Meat Vegan Chick'n, avocado and citrus. Tonight's dinner just got easy..
First off, thank you for the amazing response to this post! I am SO happy (most) of you loved it. 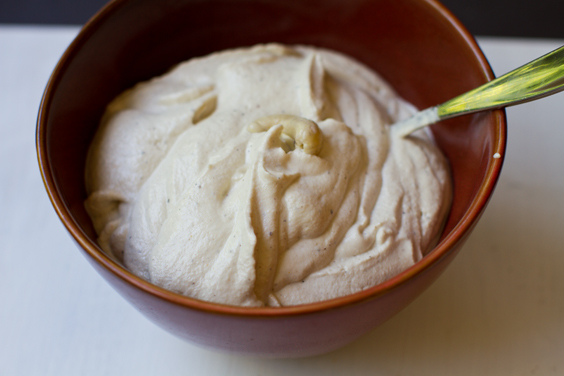 Cashew Cheese on top would be extra amazing!.. Beans and Rice. 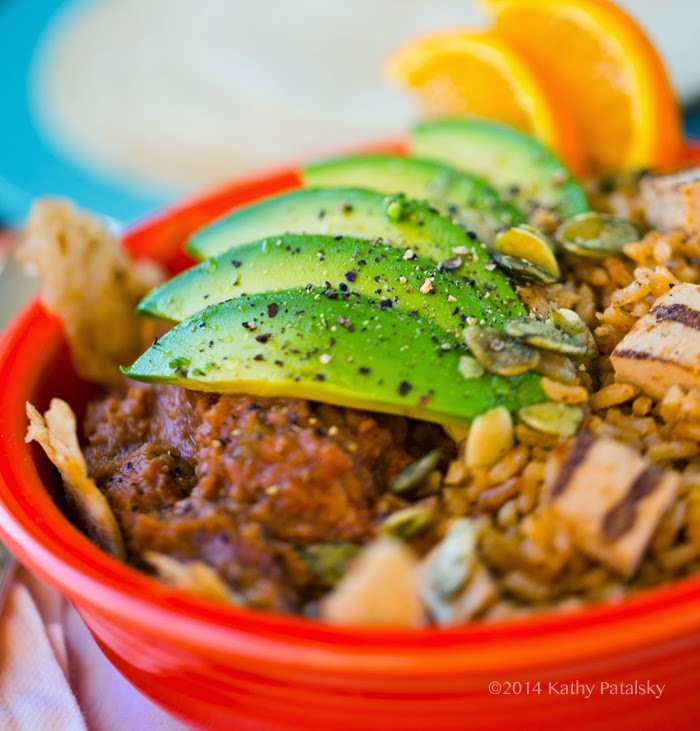 For ultimate ease, use canned refried beans and a boxed fiesta rice kit! I like to use Amy's refried beans. Amy's now uses BPA-lining-free cans, which is great! If you want to make your own rice and beans, you are welcome to - use the recipes at the bottom of the post. PS. Not into Beyond Meat's yummy vegan fake chick'n? 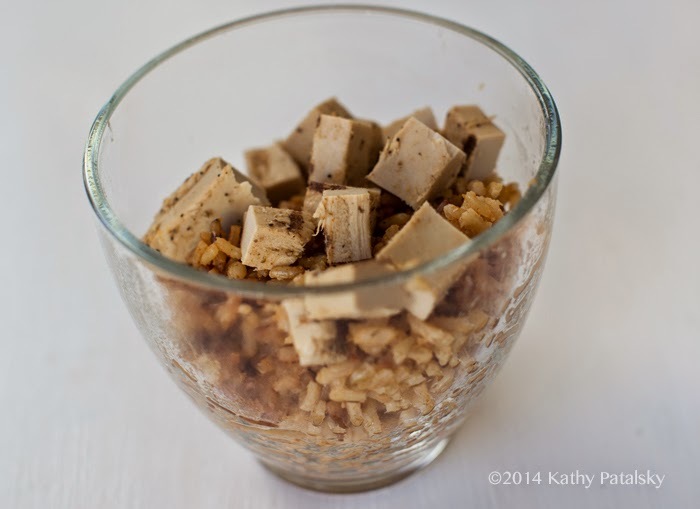 Sub with tofu, tempeh, seitan, roasted corn or simply omit. Step #2: Grab the cooked vegan chick'n and rice (recipe below) and pour it into the mixing bowl. Fold well to soften tortillas. Step #3: Warm beans and add to serving bowl. 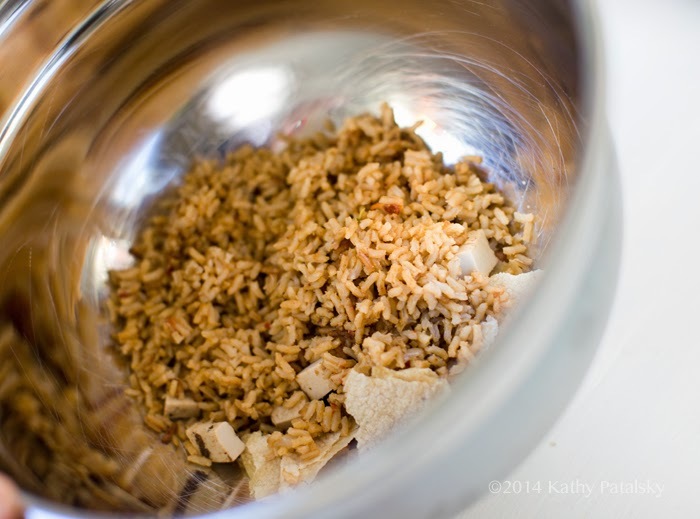 Step #4: Add warm rice/tortilla/chick'n mixture to the serving bowl. Step #5: Add avocado and citrus garnish. Top with spices or black pepper. Serve warm! Add additional tortillas on the side if desired. Full recipe - see below for rice and bean recipes. 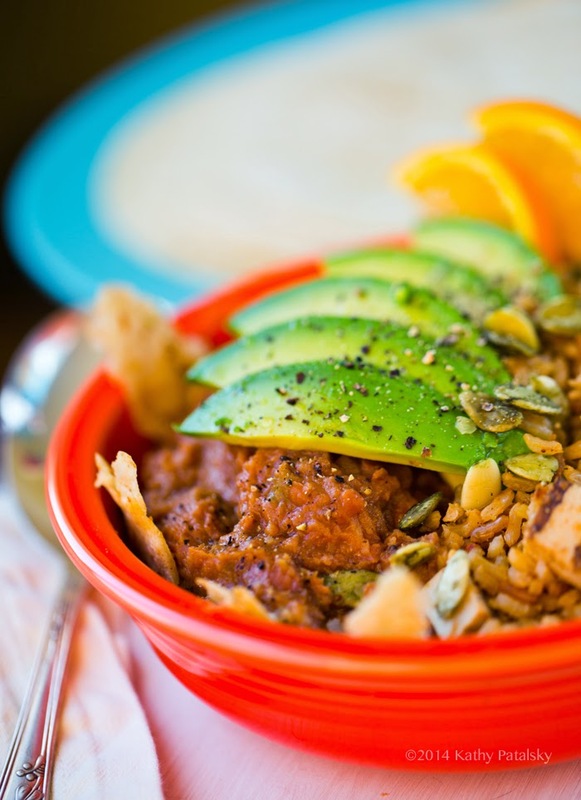 5-Step Protein-Taco Bowl with Fiesta Rice and Beans. 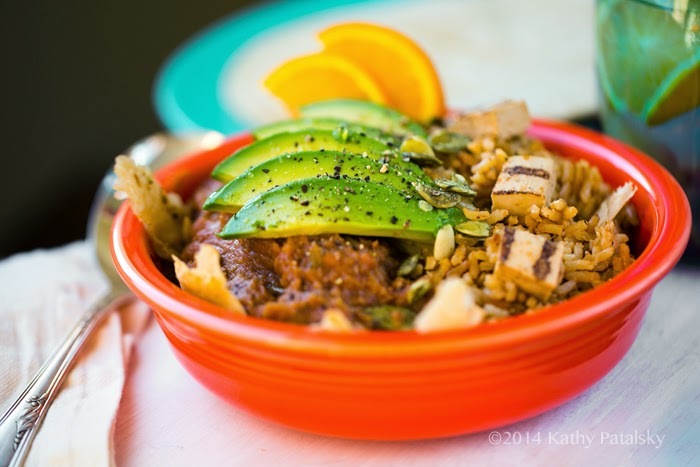 This easy taco bowl is vegan dinner perfection with rice, beans, avocado and spices. Add the rice to a large mixing bowl and toss with the tortillas until the warm and soften. Pour rice mixture into serving bowl. Add the beans too. Top with avocado, pepper, citrus. Serve with salsa and extra tortillas. 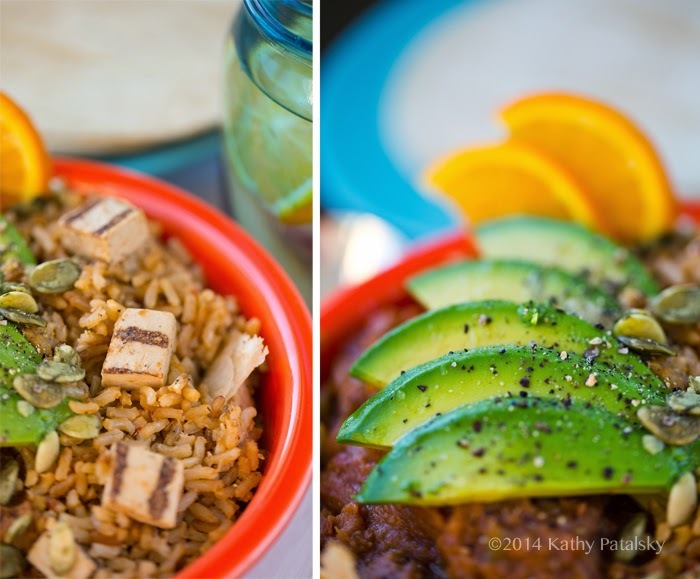 Easy fiesta rice with spicy-veggie flair and an accent of vegan chick'n. Add all the ingredients except the chick'n to a medium soup pot, over high heat. Bring to a bowl then reduce the temperature to low, cover pot with a lid and simmer for 25-30 minutes. Fluff rice with a fork and fold in the chopped chick'n. The rice will heat and warm the chick'n perfectly. 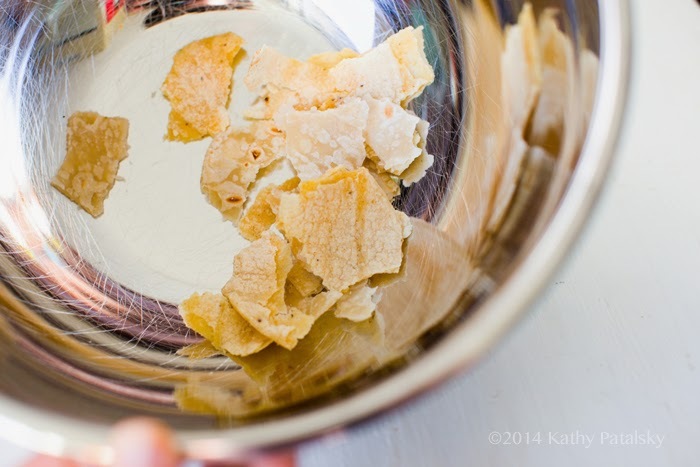 Pour into a bowl and serve or set aside. Easy vegan smashed and baked "refried" beans. Heat a soup pot, over high heat. Add the vegan butter, garlic, onions and spices. Cook for 1-2 minutes. Add the beans, lime, broth. Bring to a simmer then reduce heat to low and mash the beans with a large fork or potato mashers, while still in the pot, or transfer to a bowl. Turn heat back on and stir mashed beans, warming over medium heat. Add more broth to taste for desired consistency. Transfer beans into an oven-safe serving bowl. Drizzle oil or dab butter over top, lime zest on top too. Place in a 400 degree oven and heat for ten minutes. Serve warm.